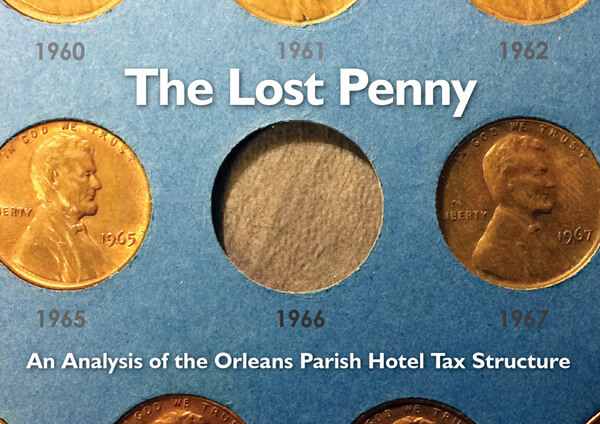 NEW ORLEANS (WVUE) – A leading local research group published a comprehensive report on New Orleans hotel-motel taxes, which shows the city lagging far behind when it comes to using hotel tax revenues to help fund city services. The BGR also found that New Orleans falls short when it comes to spending hotel tax revenues on municipal needs, even compared to other cities in Louisiana. For example, Shreveport sends 18 percent of its hotel tax revenues to municipal needs. In Lafayette, 15 percent of the taxes were reserved for municipal works — both cities’ far exceeding New Orleans’ 9.5 percent. The BGR report stated entities like the Superdome and the Convention Center get the lion’s share of New Orleans’ hotel tax revenues, with the Convention Center accumulating a $235 million unrestricted reserve fund, as outlined two years ago in “Finding the Funds,” a FOX 8-Lee Zurik investigation. There was an effort as recently as last year to divert some hotel tax money to street maintenance, but it never made it out of committee. Representative Neil Abramson said he’s now reviewing the report, and looks forward to working with the city and delegation members, to consider proposed ideas that might be beneficial. The city’s visitors bureau — now known as New Orleans and Company — said Wednesday (Jan. 30), the report outlines money spent on the Superdome and Convention Center, which it calls a “good deal for citizens.” The group said it supports efforts to help the city land another penny sales tax. “The answer to city operating needs and Sewerage and Water Board issues will need all of business, and all of our citizens to participate in finding broad based solutions,” New Orleans and Company said.